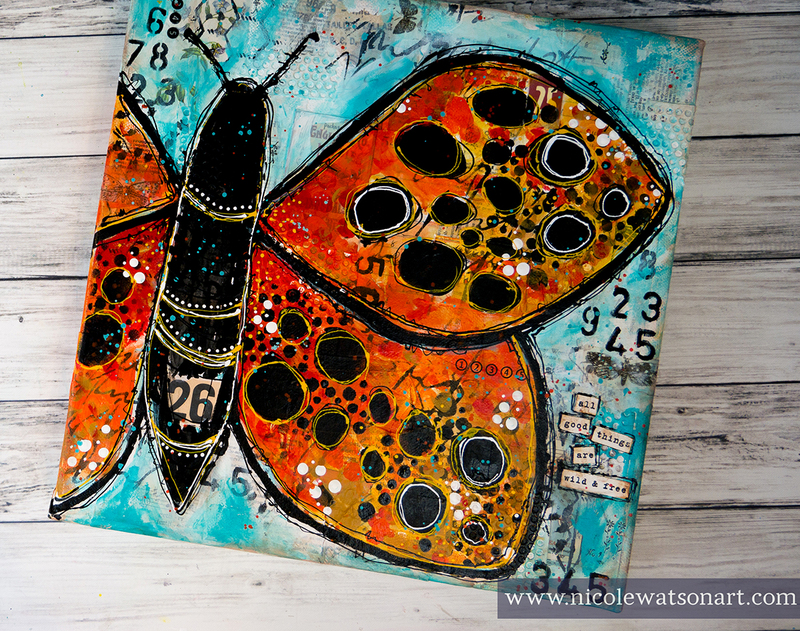 This week I'm using Donna's lotus pod stencil to create a butterfly! As soon as I saw this stencil, I knew it would make the perfect butterfly wing. First, I started by adding layers of collage with book pages, ephemera, and pattern tissue. Then, I used four of Donna's other stamps to add more interest to the background. 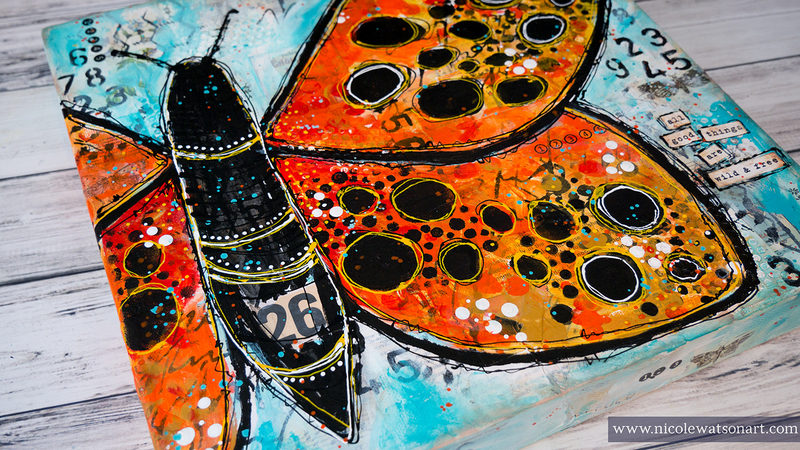 The scribble script was perfect to add the look of veining in the butterfly wings! Then, I added warm colors of oranges, reds, and yellows to the wings. I contrasted the wings with the teal background - these complementary colors play off each other beautifully. 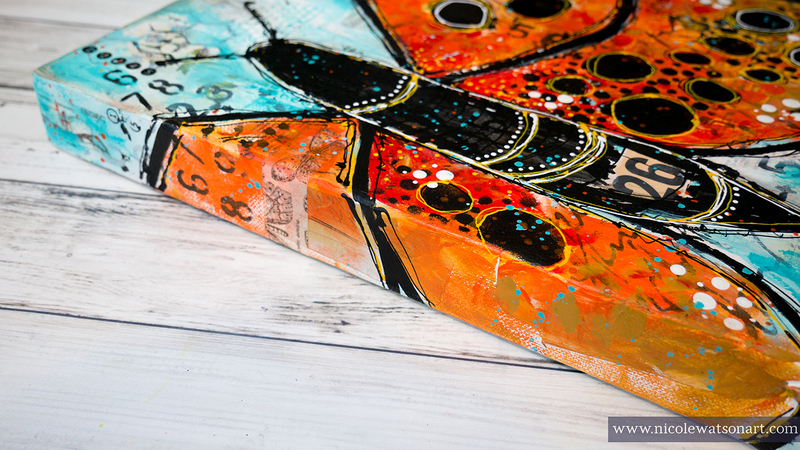 A bunch of splatters, dots, and details with fine liner bottles add extra dimension to the wings and butterfly body. Some rub ons here and there, and more touch ups with black and the fine liner bottle just about finished the piece. 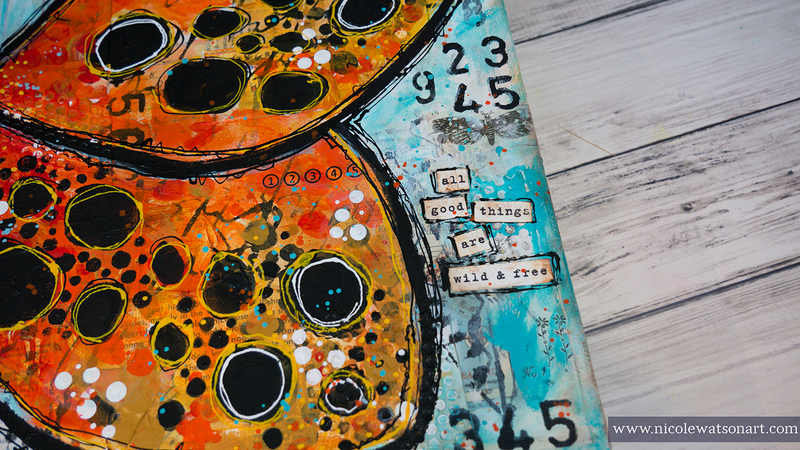 The final touch was added with the quote "all good things are wild and free" from donna's "wild & free" stamp set by unity stamp co. This quote just spoke to me as I was looking through my stamps to find the perfect one for the canvas. 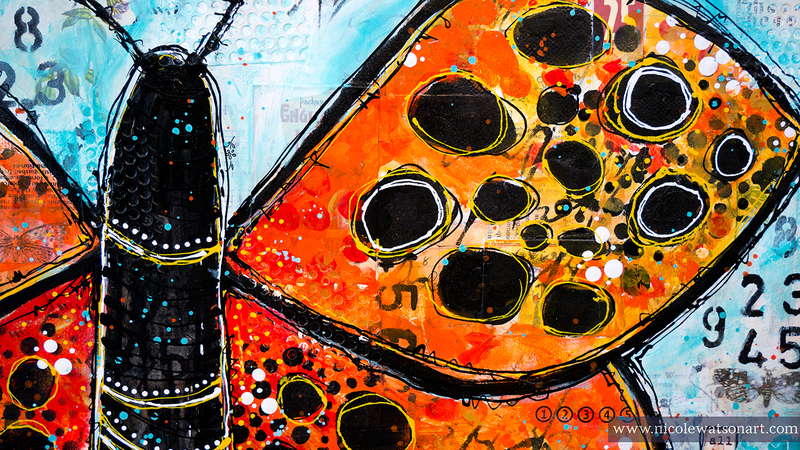 One more round of splatters with the orange, and the piece was finished. This is a great canvas to use what you have! Or, try it out in your art journal. Grab your ephemera and favorite colors. If you need some of the supplies, you can find most of them in Donna's shop! While you’re here on Donna’s website, grab the lotus pod stencil (or any of the other four used!) so you can create butterfly wings, too. I'd love to see what you create. 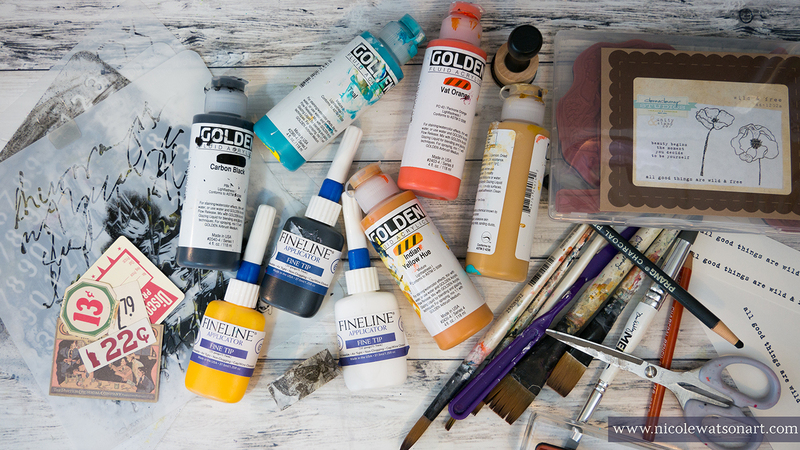 After you've tried this technique, post what you created in the donna downey : Community of Artists facebook page! Or, share on Instagram, and tag Donna Downey Studios.